Sam was forced to abandon a promising career with the police due to injuries sustained in the line of duty. She felt a bit lost for a while but eventually found her way to SWAP and had a serious think about the range of skills she had acquired that could transfer to a new career. In researching her options, she realised that her first choice (Physical Therapy) was not viable. Further research led her to Occupational Therapy. 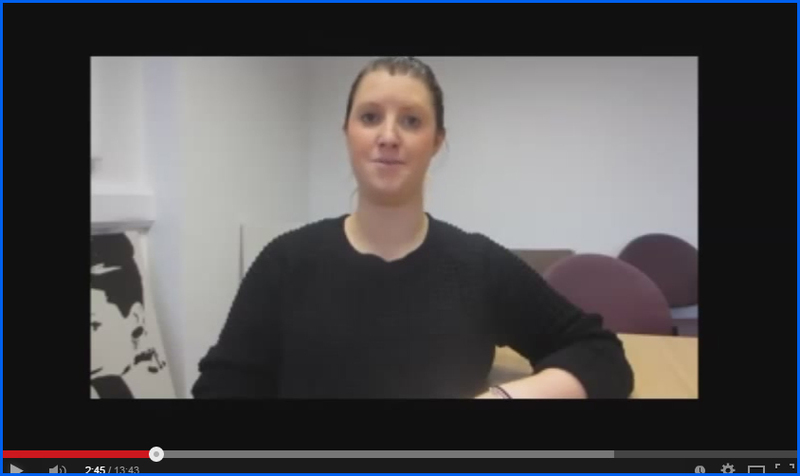 She is now studying OT at Glasgow Caledonian University (GCU) and is looking forward to a new career. Sam is also a volunteer on the SWAP Student Mentoring Network. She is happy to help current SWAP students make the transition from college to university study. Contact SWAPWest for more information: 0141 564 7206. Hello, my name is Sam. I’m 26 and I’m from Renfrewshire. I left school at 16. I didn’t enjoy school at all and didn’t have very many qualifications. I got a job straight away after leaving school, and I did quite well for a while, but I got bored. After seeing a newspaper article about the need for more female police offers, I applied and got a job working for Strathclyde Police. Amazing salary, amazing career opportunities and I thought that was me, set for life. But then I had an unfortunate series of quite scary situations on duty; I dislocated my shoulder three times. Due to my injuries, I wasn’t able to complete the fitness requirements, so I was forced to leave the police. When I came out of the police, I went to work for my dad and I was very lost. I didn’t know what I wanted to do, what skills I had. I didn’t have any qualifications. And I suppose I was just worried about where I would go. That’s where SWAP came in. I got in touch with the staff from SWAP, who were very helpful. We sat down and pulled out all of the skills that I had gained through my work with the police, and we came up with Occupational Therapy. I then did an Access to Health and Biological Sciences at Cardonald, which led me on to Occupational Therapy and I’m now in my second year at GCU. The first few weeks going back into college was scary. I had been out of education for ten years, which might not seem a lot, but having been working, earning my own salary and being very independent, I suppose my main worry was finances. How was I going to cope? I was able to get a job within the industry that I’m going to be working in and I think that’s the main advice I would give to anyone who needs to get a part-time job while they’re studying. When you apply for a job after university, employers will be looking at what experience you have and that will include the kind of job that you did while you were studying. So I think it’s good, if you can, to get a job that is relevant to your future career. 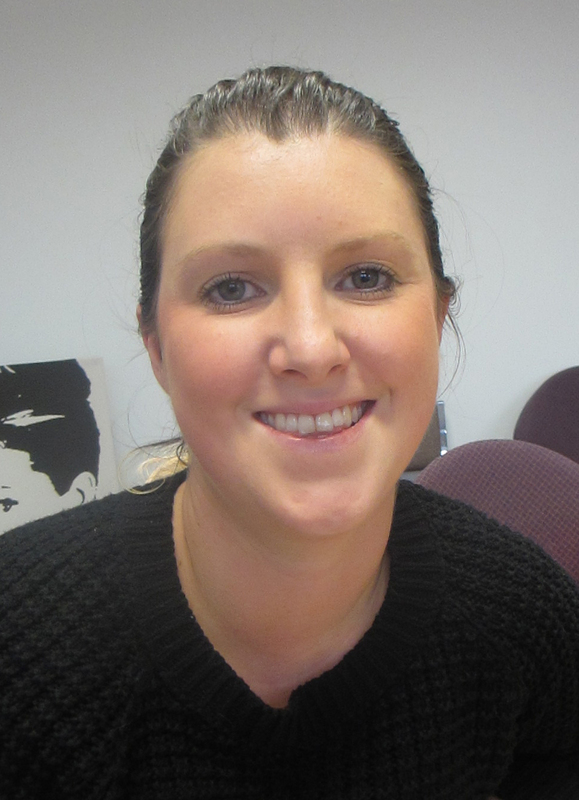 I work part-time as a sessional support worker so I can pick and choose when I want to work. Getting employment that is related to your degree will give you experience that is relevant to your studies, but it also gives you studying that is related to the work you’re doing. My classmates at college were from quite varied backgrounds. It was nice that we all had our own unique stories, but there were lots of “older” people (like me) in the class group, so I felt at home. We were all going through the same battles, so we created study groups together. It was nice to know that you’re not alone. You’re not in a class full of younger people who have just come out of school and know exactly what’s happening. The programme I studied on was the Access to Health and Biological Science, which sounds scary. However, it was just Higher Education – biology, chemistry, physics and things like that, to help me gain the qualifications I need to get on to the university course I wanted to get on to. There were people in my class who went on to do Physical Therapy, Podiatry or, like myself, Occupational Therapy, so it was all about the sciences and health care. It was a big jump, coming from school where I had never done physics or any of the sciences. It was scary because I had never been very good with maths or science but I’m here! I’m in my second year at university. I got through it, having left school at 16 with no sciences, so I think that’s quite an achievement. Our college lecturers were great. They were very understanding of the SWAP programme and very understanding of different situations, such as childcare issues. For myself, it was just coming back into education and wanting to get all the information in one go – but the lecturers were very helpful in describing how to break that down. Their job is to get you ready for university, and they definitely helped me to prepare for it. I found it challenging to study at home. Going to class was easy enough to do but it’s different from school, where you’re given all the information in class. In college, the class just gives you a snippet, and you’re expected to go away and do your own research and do your own independent studying. I struggled with that at first, just knowing if I was doing enough or not. The lecturers were good at helping us with this and the other students were a big help, as well. We all muddled through together. The Preparation for Higher Education unit we did was very useful. You may not see the point of some of the exercises when you’re at college but when you get to university, it will be very helpful. Referencing! And knowing how to take notes in a lecture. I think that was a big one for me because I thought I had to write every single thing down that the lecturer was saying, but being able to pick out relevant information to write down and then knowing how to go on and research that further is very useful. One of my main worries in making the jump from college to university was being able to write scientific reports and do the referencing, so Prep for HE was a big help for me. I enjoyed making friends at college who were in the same circumstances as myself. They understood what I was going through at home, as well as the struggles I was having at college. I’ve kept my friends into university and I’m in the same classes with some of them. It’s great to have come through that experience together. We still do study groups and keep in touch, so it’s great to have made those friendships that I’ll have right through university. If you’re thinking of returning to education, have confidence in yourself that you can do it. I’m in the third year of my five year journey to reach my goal and I know that at the end of it I’m going to be going into a career that I love and I’m really passionate about. If you were to sit down and pull out all of the life skills you have developed - whether you’ve worked in a shop or you’re a stay-at-home mum or whatever – you will have skills that you can bring to certain professions. So, it’s just about sitting down and writing down all the skills that you have and linking them to a profession that you’re passionate about. Don’t give up!